A new thyroid cancer drug can slow the progression of the disease almost five times as compared to placebo in a new clinical trial. The new molecule, lenvatinib is a targeted therapy which deters the formation of blood vessels from which the cancerous tissues derives its nutrition. Lenvatinib deterred the progression of advanced thyroid cancer by 18 months as compared to patients treated with placebo. The results of the study which was sponsored by drug manufacturer Eisai, was published in the next issue of the New England Journal of Medicine. The conventional therapy for advanced thyroid treatment comprised of giving radioactive iodine. Unfortunately 50 % of patients do not respond to radioactive treatment. 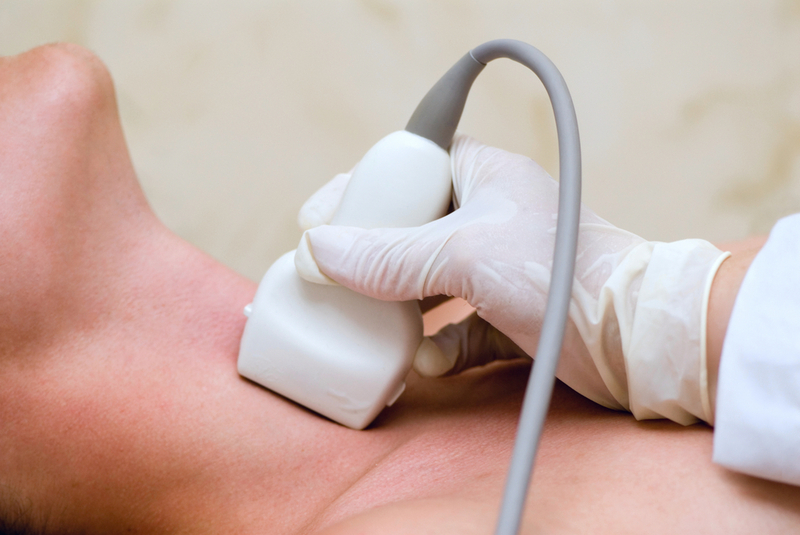 Thyroid cancer also has a tendency to acquire resistance to radioactive Iodine therapy. The therapy becomes less and less effective. Lenvatinib will have to obtain US, Food and Drug Administration approval. FDA had approved another targeted drug, sorafenib which acts by encouraging early death of cancer cells in 2013 to treat thyroid cancer. The trial of lenvatinib involved almost 400 students from 21 countries and all the subjects were suffering from thyroid cancer that had spread and become resistant to radioactive iodine. In all 261 patients were treated with lenvatinib, while 131 received a placebo. Two thirds of the patients responded completely or partially to the drug. Adverse reaction includes High blood pressure, diarrhea, fatigue, nausea, and decreased appetite and weight.40 percent of the patients, who were on lenvatinib, experienced some form of adverse reaction.